The SOLIDWORKS Partner Programs offer direct access to integrated products and services to maximize productivity, helping you bring your product to market faster. Working closely with leading companies around the world, SOLIDWORKS offers you an unmatched range of high-quality solutions to meet your specific product design and development objectives. Engineers and Designers gain a significant edge in performance and productivity using HP and SOLIDWORKS. You benefit from the HP commitment to performance, innovation, and reliability excellence combined with the strength of HP and SOLIDWORKS relationship. Enjoy next-generation technology, including the award winning HP Z Workstation design, to help you create and visualize even the most complex designs. This revolutionary design brings a tool-less chassis, advanced cooling, and choice of power with up to 90 percent efficient power supplies. 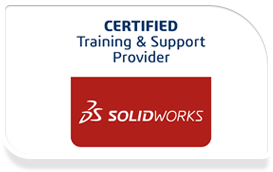 SOLIDWORKS Standard is a powerful 3D design solution for rapid creation of parts, assemblies and 2D drawings with minimal training. Application specific tools for sheet metal, weldments, surfacing, mold tool and die make it easy to deliver best in-class designs. 3Dconnexion – SpaceMouse is the expert when it comes to providing 2D and 3D design professionals with a superior design experience, helping them to produce better designs, faster and more comfortably. From aerospace to automotive, consumer goods to electronics, machine tools to game development, 3Dconnexion 3D mice accelerate productivity and design quality to a new level. EMS is designed to help you gain physical insight into the performance of your electromagnetic, electromechanical, and MEMS design through the computation of important parameters, such as force, torque, magnetic flux density, magnetic field, electric field, electric flux, current flow, eddy current, inductance, capacitance, resistances, flux linkage, and power loss. HFWorks is a 3D field simulation software fully integrated inside Solidworks, for RF, microwave, and wireless applications. It includes multiple solvers covering: Antennas, 3D passive structures (S-parameters), resonant structures and RCS calculation.